Karthi's super hit movie 'Naan Mahaan Alla'remaking in Telugu. Kajal Agarwal who played the tamil lead lady character will be heroine in the Telugu version. The Telugu title will be 'Naa Peru Shiva'. 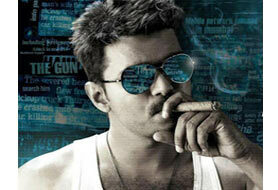 The music will be composed by Yuvan Shankar Raja.